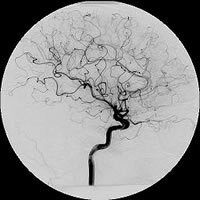 Endovasular Neurosurgery (Interventional Neuroradiology) is a subspecialty of radiology and neurousurgery in which minimally invasive procedures are performed using image guidance. Some of these procedures are done for purely diagnostic purposes such as cerebral angiograms, while others are done for treatment purposes, such as cerebral coilings or embolizations. 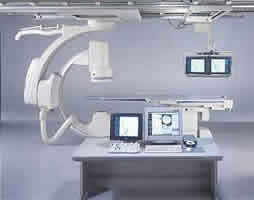 Fluoroscopy (x-rays) is used to direct these procedures, which are performed using thin tubes called catheters. The catheters are introduced into the vascular system either through the groin, the arm, or sometimes the neck. 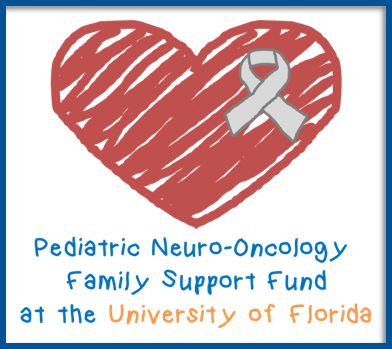 The University of Florida is one of the largest volume endovascular neurosurgery centers in the country. Doctors Brian Hoh, Christopher Fox and Adam Polifka of the Department of Neurosurgery perform all types of endovascular neurosurgery procedures.